coz boys just wanna have fun too! 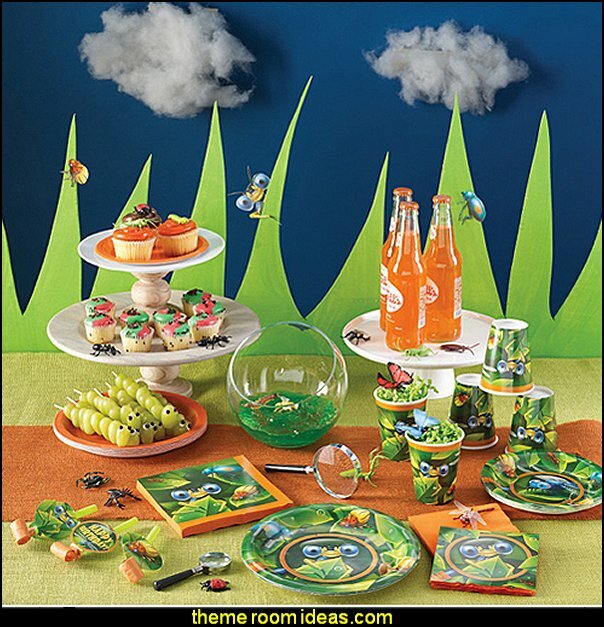 These Bug-Eyed Party Supplies will have the creepy crawlies on a green grass background. Gone Fishin' Party Supplies feature friendly little fish swimming around the pond waiting to be the catch of the day. 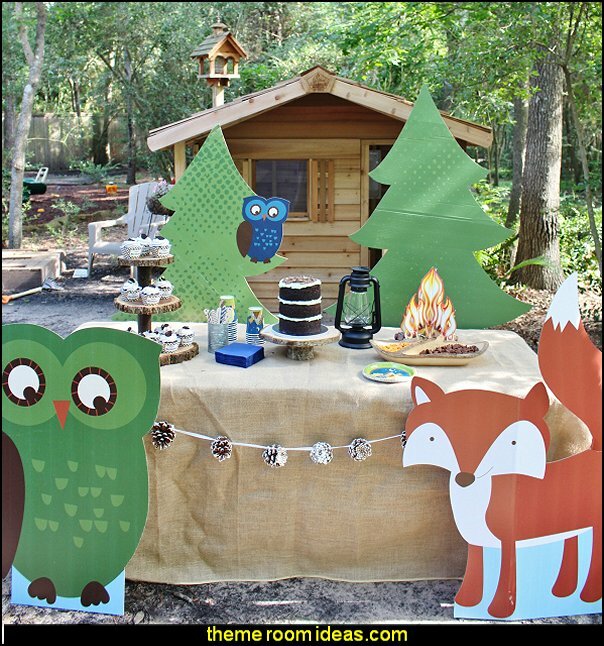 Make planning your party easy with our Gone Fishin' Party Packs. 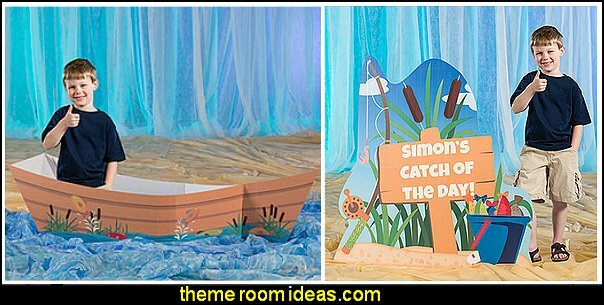 Gone Fishin' Catch of the Day Standee features a fishing pole, bucket of fish and a sign that will be printed with your own wording. This freestanding cardboard prop is printed on one side and measures 4 feet high x 3 feet 10 inches wide. 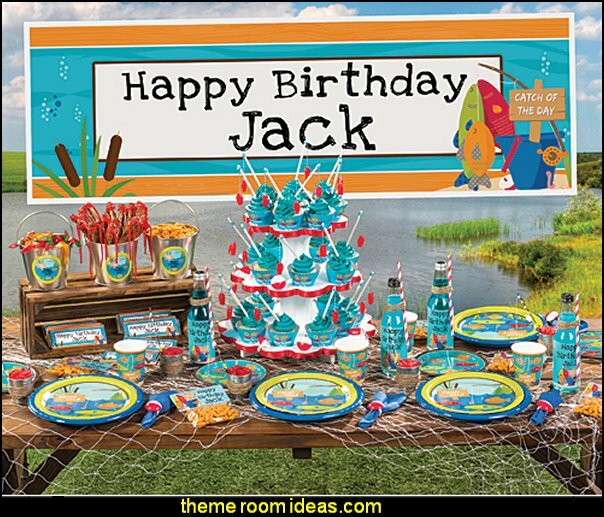 Greet your party guests with the Gone Fishin' Catch of the Day Standee. Reel in a big one in this Gone Fishin' Canoe! Throw your pole in your favorite fishing hole! Our exclusive Gone Fishin' Canoe is perfect for birthday parties, sleepovers and more. 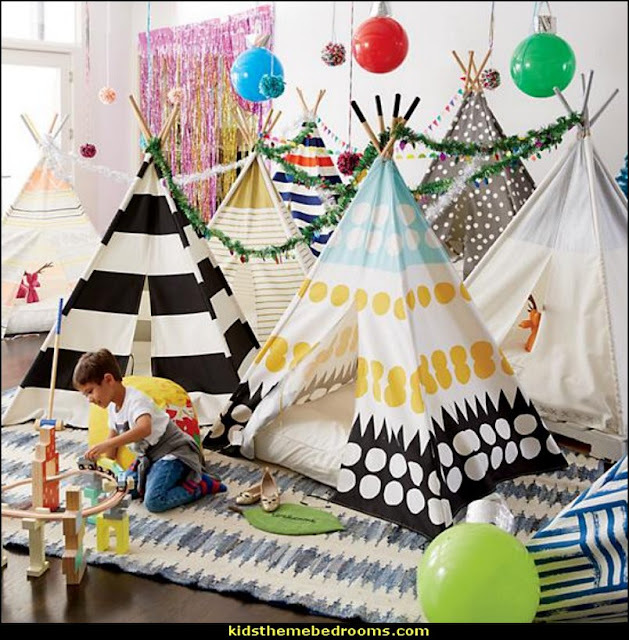 This cardboard prop is great for pretend play with their friends and also creates an awesome photo opportunity. The Gone Fishin' Canoe measures 1 foot 5 inches high x 5 feet 10 inches wide x 2 feet deep. 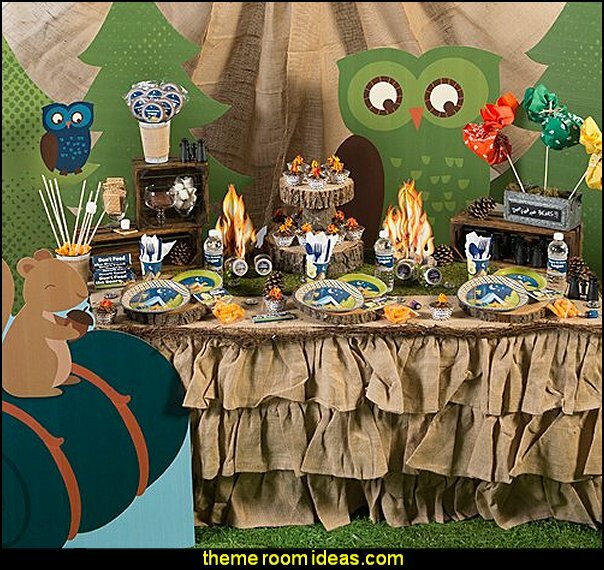 Pirate's Map Party Supplies features all you need to have the best pirate themed party. 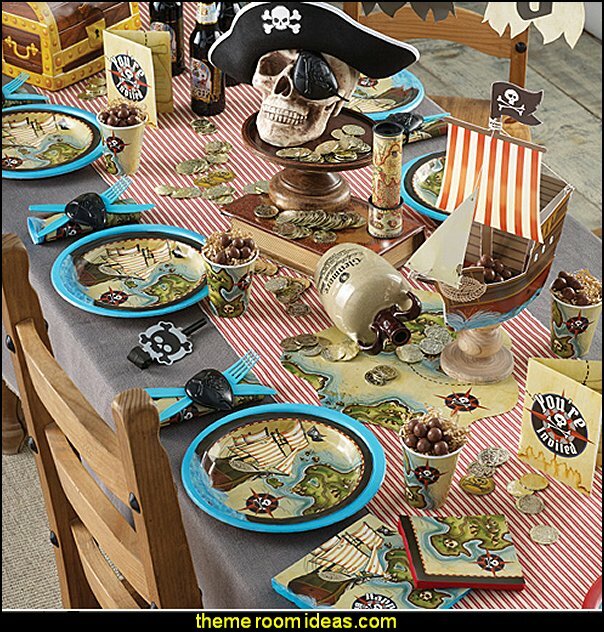 From the tableware to the decorations to even the favors, Pirate's Map Party Supplies coordinate perfectly. 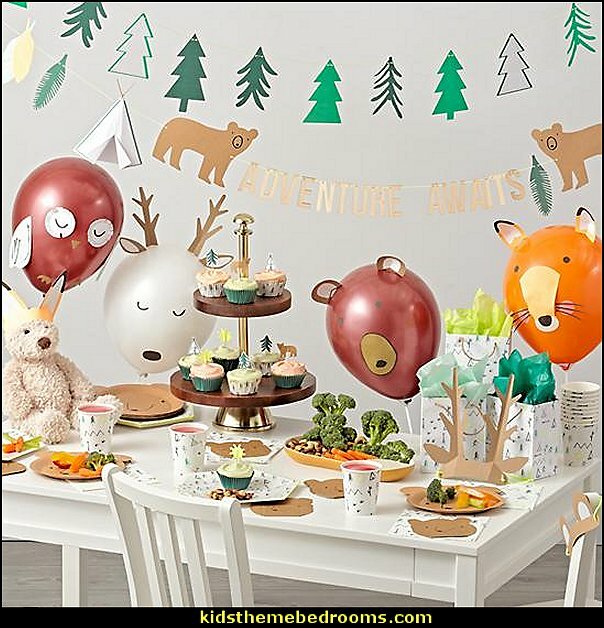 Time sure does fly by, so why not take his birthday party to new heights with this Time Flies Party Supplies. 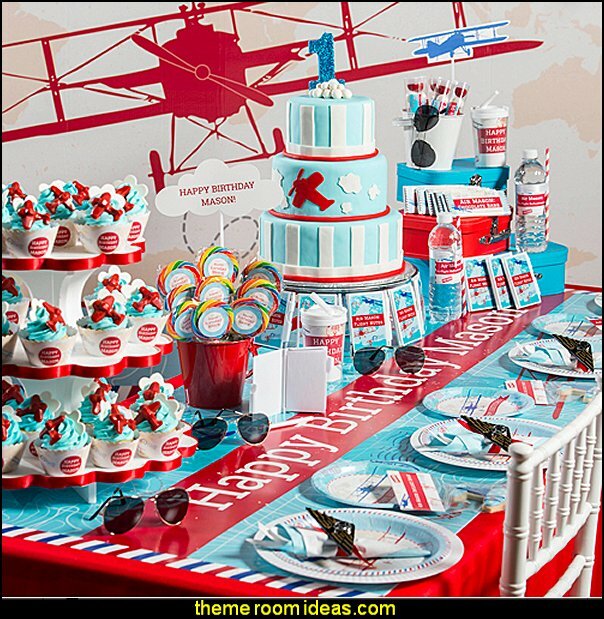 This cool theme combines the colors red and turquoise with airplane and atlas designs. 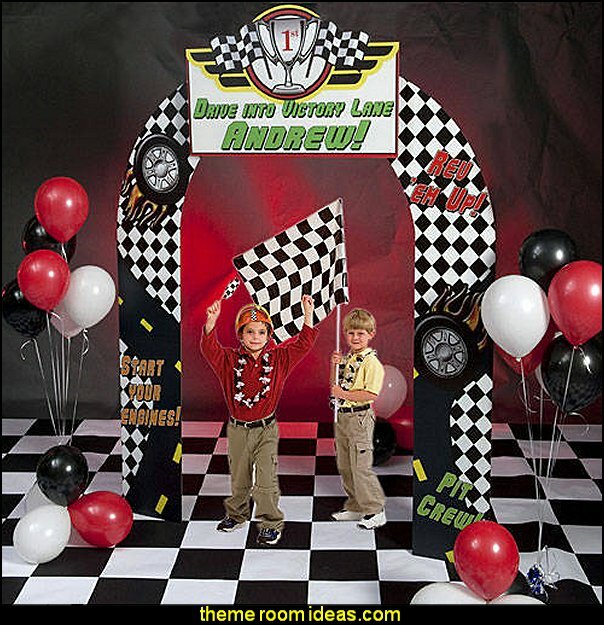 Great for any Race themed party!